There is a lot to explore in the “land of the rising sun,” a country filled with the most cutting edge technologies contrasted against ancient and unforgotten traditions. It would be a dream to simply hop on the next flight over, but nowadays it’s just not that easy when it comes to moving to Japan. There are visas to navigate and living costs to account for. Worry not; we’re here to break it down! One option is a company transfer. An intra-company transfer involves looking for a job at a company at home that has a branch office in Japan. After getting the job, request a transfer to work at the branch office in Japan. Through this transfer, employees can get a work visa that allows residence in Japan. It’s not impossible, but a move like this may take years, and the chance for an opening may not even arise. Go! Go! Nihon considers entering as a language student the best option in coming to Japan and get a student visa. Whether beginner or not, incoming students can work on their language skills and get a head start in navigating Japanese society. In addition, language students can rent their own apartment and work part-time while they study, though some schools prohibit students to work part-time during their first three months in Japan. After studying for one or two years, students can either start looking for a full-time job or consider moving on to study higher education. As a foreigner in Japan, the chances of finding a full-time job are quite slim without either a higher education degree or any special skills in high demand. Depending on where, accommodation can be the biggest expense to have in Japan. In Tokyo, housing can cost a minimum of ¥35,000/month for a shared room in a share house, to around ¥60,000 for a single room in a shared house, to an average of ¥80,000 for a small single apartment. Keep in mind that living in a convenient area of Tokyo can be a 30-40% increase in rent. On the other hand, in cities other than Tokyo, the cost of rent can be 20, 30 or even 50% lower. 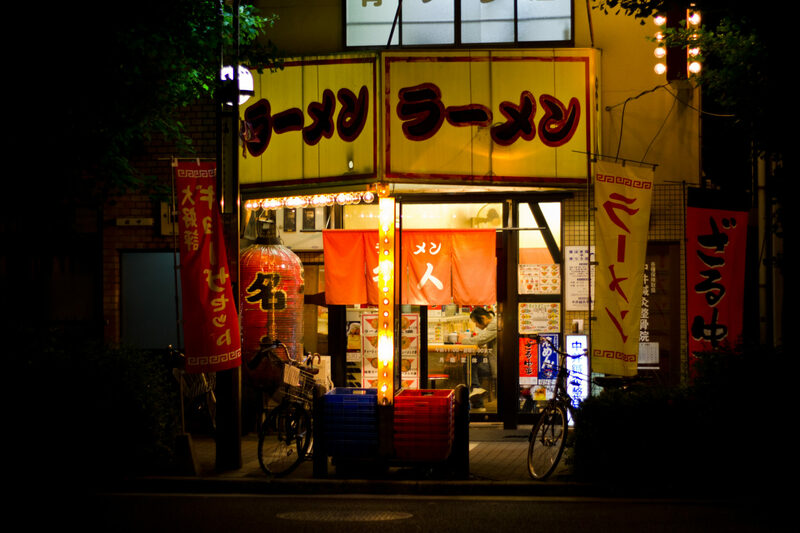 Check our article out to find out how to save money in Japan. In Japan, the main utilities are electricity, gas, and water. In a share house, the prices will usually be around ¥5,000; however, with a single apartment the price can be upwards of ¥8,000 to ¥10,000 per month in total. Internet subscriptions are usually very fast and affordable. A fiber optic connection costs from ¥3,000 to ¥6,000 per month based on the bandwidth. Depending on where you choose to eat, dining out in Japan can sometimes be more affordable than cooking at home. In Japan’s urban areas, many people eat out every day because it’s cheap, fast, and there are no dirty dishes to clean afterward. Don’t let this intimidate you, though. Look closely and you’ll find very well priced supermarkets. For those a little more outside of the city, farmers will often put up small wooden stalls that sell extra vegetables and fruits for as little as ¥100! Explore schools at our website to get more information on exact terms and pricing. A year’s tuition will start at about ¥700,000 per year with a student visa. This may sound like a lot of money, but keep in mind that it includes an entire year of 3-4 hours a day (varying by school), 5 days a week of Japanese lessons. In addition, students will receive a visa that allows part-time work while they study. There is usually a distinct difference in experiences among foreigners staying in Japan. Some put energy into learning the language and the customs, thus finding Japanese friends, business opportunities, and the chance to experience a myriad of things. Some never put forth the effort into adapting to life in Japan. Foreigners that don’t bother learning Japanese or Japanese customs can find life here to be much more difficult. It can be very stressful for someone that doesn’t know the language, but an entirely different world opens up for those that do try to learn. Japan is a great place to live, but you should make an effort to adapt to society here. As with living in any new place, keeping an open mind and continually learning will open up many rewarding doors. Enjoy life in Japan by taking advantage of everything it has to offer—it has a lot! Make an effort to learn the language, talk to locals sitting at the bar, or participate in local events. It makes a world of difference to share who you are with your surroundings, and it makes you and the community around you better for doing so. If you want to get started, head on over to our article on learning the basic Japanese alphabets, hiragana and katakana.